I have heard a lot of good things about this product from one of my all time favourite Youtube and beauty blogger Lisa Eldridge www.lisaeldridge.com. I loved the finish that this gave in her tutorials, so yet again, I was inspired to buy it to use in my kit. I thought that it should have a mention on here, as it's such a must-have product. 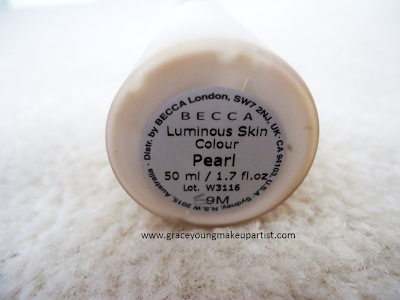 I bought this product from BECCA's website www.beccacosmetics.com. You can also buy this product online at cultbeauty or love-makeup. BECCA does have a flagship store in Pelham Street - London, so if you live close by, drop by to browse! It costs £33 plus £6 delivery charges. You get 50ml/1.7 fl oz in the bottle. It is expensive, but you do get a lot of product for your money! One tiny drop goes along way. This highlighter is in a pump dispenser container, so it's more of a controlled application. BECCA also have 2 other shades in the shimmering skin perfector collection. They are called Opal (which is a soft pinky gold for mid skin tones) and Topaz (more golden bronze highlight for dark skin tones). 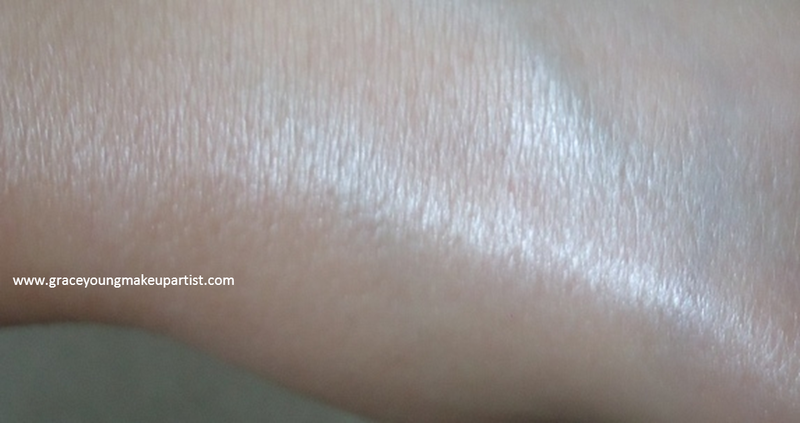 BECCA Shimmering Skin Perfector in Pearl. My skin tone is fair and combination (mix of MAC's NC15 and NC20 foundations) and this is the effect is has. 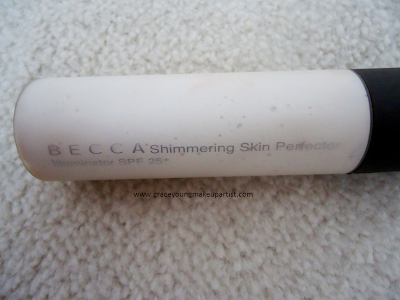 The BECCA Shimmering Skin Perfector in Pearl is a gorgeous colour to use on fair skin tones like myself! The swatch above was 1 pump full - which was rubbed into my hand. 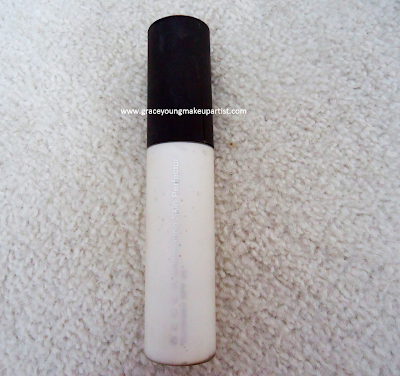 It dries matte and gives the most flattering glow onto the skin. The swatch has the maximum highlight potential on my skin - reflecting the light particles in the product. If used on the right parts of the face, it can give luminosity and radiance to the face. I always keep this product in my kit now. Never lets me down! Highly recommended, especially to fellow makeup artists! Hope this was helpful or useful guys!